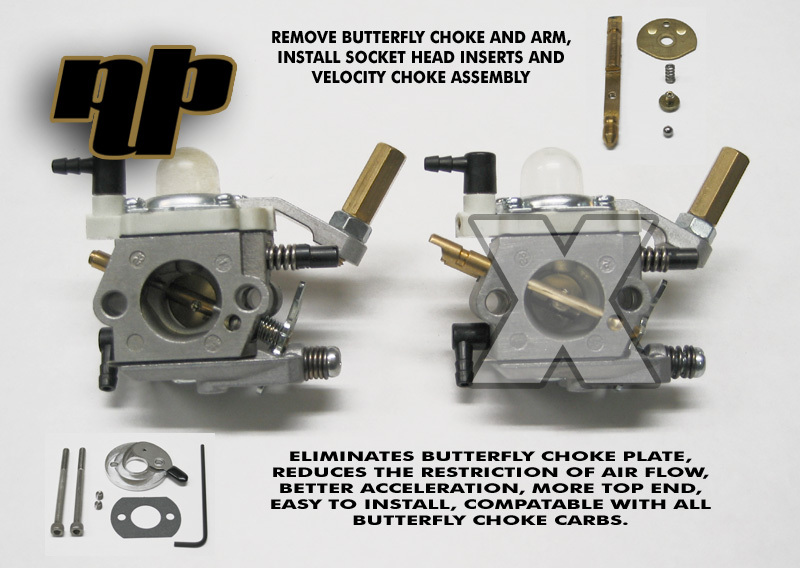 BUTTERFLY CHOKE CARBS FLOW BETTER. BY REMOVING THE BUTTERFLY CHOKE AND CHOKE ARM. DISC CHOKE BETWEEN VELOCITY STACK AND CARBURETOR.